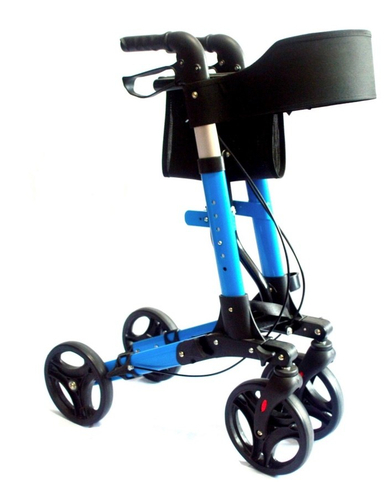 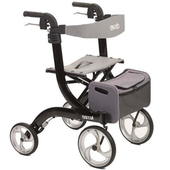 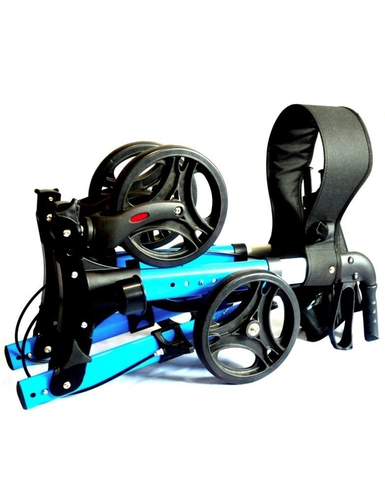 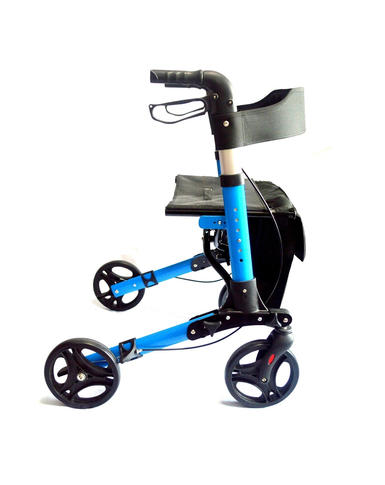 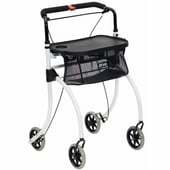 The X Cruise Folding lightweight compact rollator that folds together side to side as standard but also folds downwards into a small compact unit for travel or storage. 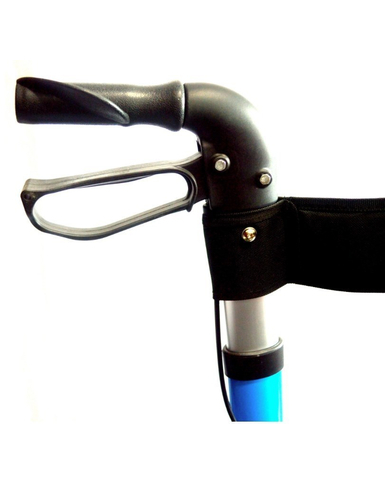 Height adjustable handles with ergonomic grips. 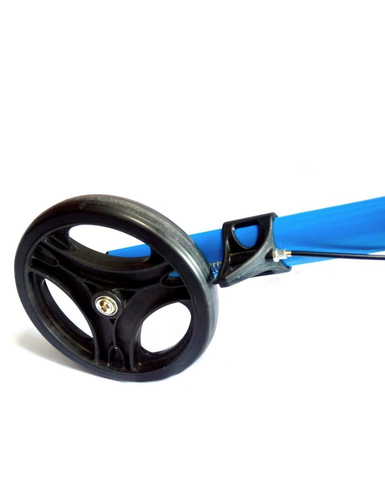 Dual action brakes for slowing down and locking on. 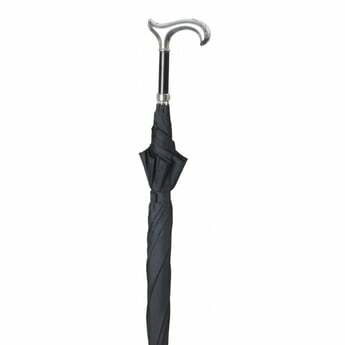 Useful shopping bag. 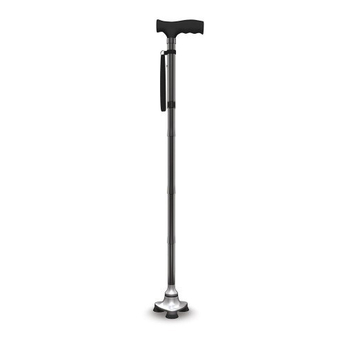 Cane holder. 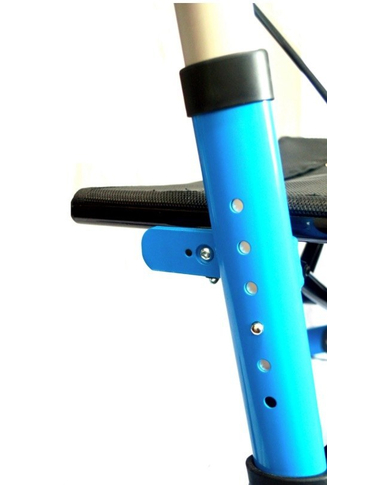 Stepper tube to help get up curbs. 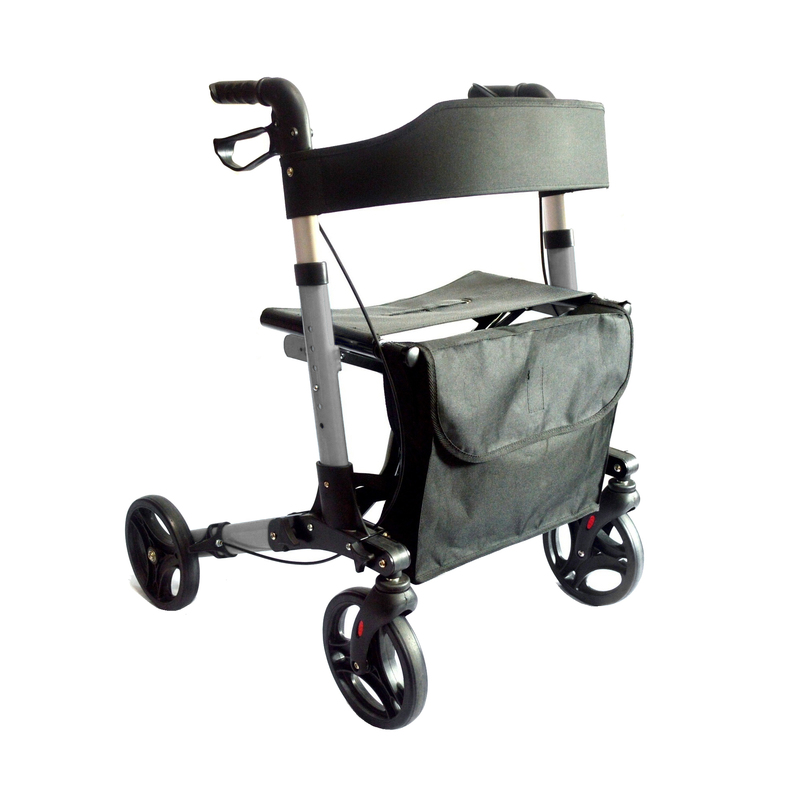 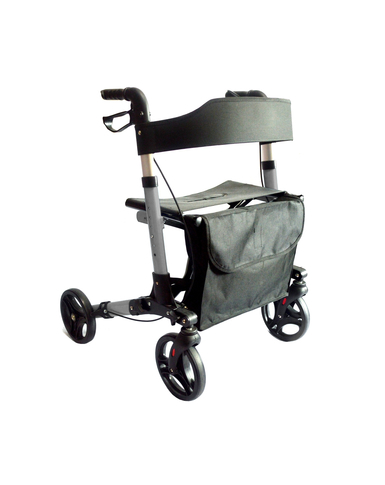 Includes looped straps to keep the rollator closed.